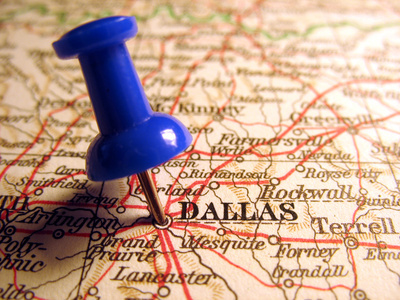 Join us for a fun-filled weekend of market exploration and education in Dallas, Texas!!! Click here to get on the advance notice list to be among the first to know when we schedule our next trip. 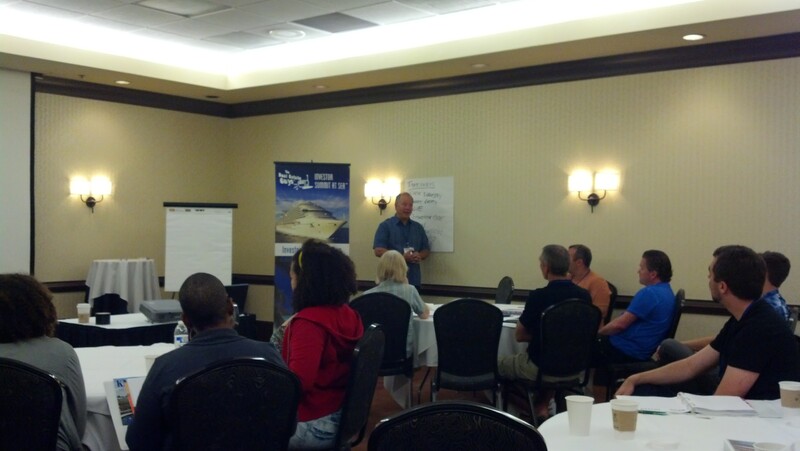 If you’re new to The Real Estate Guys™ and have never been to a seminar or a trip with us, the first thing you should know is that our events are educational. So don’t worry about getting trapped in a room and getting hard closed to buy something (we call this the “timeshare experience”). That’s not the way we roll. Besides, we’re radio guys and we don’t sell real estate. And even though you’ll meet local market experts who’d love to do business with you, none of that happens during the trip. This is about exploring the market and meeting potential team members.. If you like what you see, then you can follow up afterwards. No pressure from us…or our guest speakers. Okay, with that said, let’s get into the nitty-gritty details…. Zipping by downtown Dallas checking out the freeway system! When you arrive in Dallas on Friday, plan to arrive in time to get to the host hotel by 4:30 pm. The host hotel serves as home base for the entire field trip. So while you’re free to stay elsewhere, we’ll have a group deal…and it’s just a lot easier if you stay at the host hotel. (We’ll get you the details when we confirm your registration). Friday night, we have a meet and greet, followed by a market overview presentation. Afterwards, we’ll head out to dinner. Then back to the hotel for some shuteye. Saturday morning we’re up and at ’em early. We grab a quick breakfast and jump in the bus for a FULL day of touring. We’ll tour the CBD (that’s real estate lingo for the Central Business District), drive through several suburbs, and visit with a large local property management company who’ll tell us the real deal on the local rental markets. So far, every trip has been a little bit different… depending on what’s happening in the market and the interests of the specific tour group. We typically emphasize single and multi-family residential because that’s what most people are interested in, but we also see commercial and retail. However, this tour isn’t about buying properties (we know you want to, but first things first). It’s about learning the market and sub-markets to help you narrow your property search. We believe it’s important to start with the market first, then build a support team and (with the team’s help) identify sub-markets, neighborhoods and properties. We’ll explain it all on the trip in our session on investment strategy. We keep the group small, so there’s ample time to ask questions and have lots of interaction with the guest speakers, tour guides and other field trippers. We cap the day off with a fun dinner and some tasty libations. Then back to the homebase hotel for a nap. Rise and shine on Sunday morning! We’ll have a lively interactive strategy session, followed by presentations and Q&A with our local market experts. You’ll learn more about Dallas in a couple of days than many people who call Dallas home. How do we know? We took a 20+ year resident on the tour and he told us so. We’ve done several of these trips and without exception, every attendee’s survey said it was well worth the time and money. We’re pretty sure you’re gonna like it too! So what’s so special about Dallas? 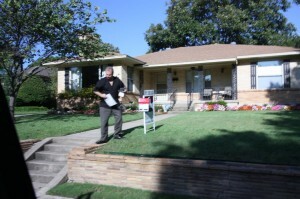 As a real estate investor there’s a lot to like about Dallas. That’s why really smart guys like Rich Dad Advisor Ken McElroy have been actively investing in and around the Dallas metro for the last several years. Even not-so-smart guys like us can see why real estate investors have been attracted to Texas – and Dallas in particular. The state economy is relatively strong and more conducive to job creation than almost any other. Transportation, education and communication infrastructure are very strong. The labor pool is large while the tax and regulatory burdens are low. 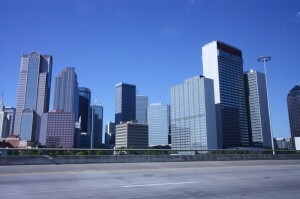 Of course, Dallas is also one of the major economic centers of the United States. So what’s not to like? BUT as great as Dallas is…if you were to throw a dart at a map of Dallas and just invested wherever it landed, you’d be making a big mistake. All real estate is regional, right down to the neighborhood. There are many other factors to take into consideration also, not the least of which is having a solid team in place – especially if you’re a long distance landlord! Now this all may sound daunting! It’s a big leap from reading statistics to actually getting into a deal. But the last time we looked, you can’t make money reading reports (unless that’s your job). You actually need to convert your education into effective action (that’s our motto!). So, how do you actually go into a new market? What do you look for? Where do you go? Who do you talk to? When you’re on your own, you need to figure all that out for yourself. For most people, it means lots of advance research, planning and several follow up trips. We know because that’s what we do to prepare for our trips. We thought it would be great to pack lots of learning into one short and efficient trip! Uncomfortable, high pressure, hard-sell from desperate real estate agents. This is an EDUCATIONAL event. Think about how many trips and how much money you would need to spend (not to mention your time) to go into a market, get to know the various sub-markets, and get connected to local experts and service providers. This is a HIGHLY TIME & COST EFFECTIVE WAY to learn a market!